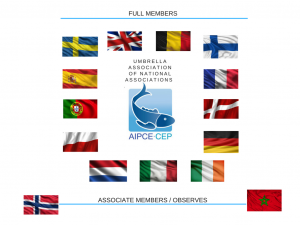 AIPCE-CEP membership is presently comprised of 22 national associations representing the fish processing industries in the EU. The full membership in AIPCE-CEP is open to the national associations operating in the processing industry in the member countries of the European Union. The associate members are the national associations or organizations operating in the processing industry or fish trade in countries applying for membership of the European Union. Observer status may be granted to national associations of countries that are not eligible as associate members. Participation in high level meetings with decision makers and legislators. Participating in meetings with the European Sector to discuss about latest developments in trade, food law and other common issues. AIPCE-CEP also closely collaborates with other public and private organisations of the fisheries sector, in order to increasing impact of all actions through effective cooperation.